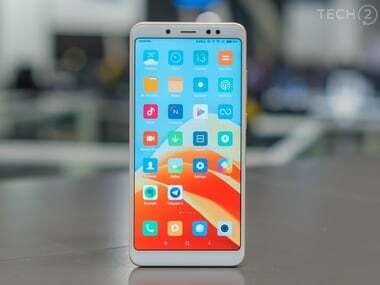 Housing dual rear-camera system (12MP+5MP) and a 20 MP selfie shooter, Redmi Note 5 Pro is the first Xiaomi smartphone to come with the "Face Unlock" feature. Chinese smartphone maker Xiaomi sold more than three lakh units of its newly-launched Redmi Note 5 and Redmi Note 5 Pro in just three minutes during its first online sale on Thursday. "#RedmiNote5 and #RedmiNote5Pro: we sold 3L+ units in <3 mins. This means 1L+ phones/min!," Manu Kumar Jain, Xiaomi India Managing Director and Global Vice President, tweeted. Redmi Note 5 — a successor to the highly-acclaimed Redmi Note 4 — has been launched for Rs 9,999 for the 3 GB RAM and 32 GB storage variant and Rs 11,999 for the 4 GB RAM and 64 GB variant. The device comes with 18:9 Full HD+ display, 4,000 mAh battery and Qualcomm Snapdragon 625 processor. Redmi Note 5 Pro costs Rs 13,999 for the 4 GB RAM and 64 GB variant and Rs 16,999 for the 6 GB RAM and 64 GB ROM version. Housing the dual rear-camera system (12 MP+5 MP) and a 20 MP selfie shooter, Redmi Note 5 Pro is the first Xiaomi smartphone to come with the "Face Unlock" feature. 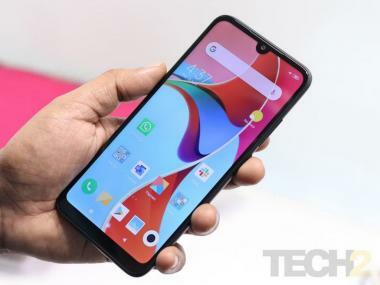 It also has the latest Snapdragon 636 processor. "After the amazing success of Redmi Note 4, we had put in a lot of effort to increase supply of Redmi Note 5. This was the biggest ever sale in India," Jain tweeted.